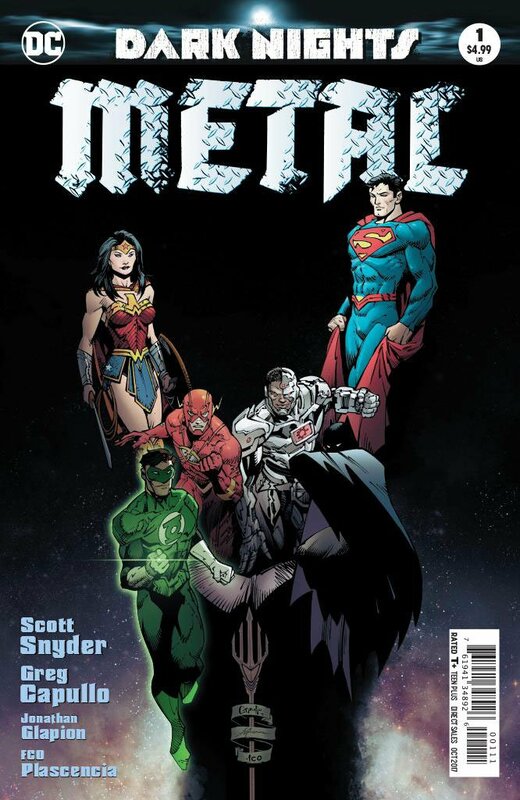 While DC has done a pretty good job of getting us excited for all the various tie-ins set to orbit their next major event, that doesn’t mean we’ve taken our eyes off Dark Nights: Metal itself. 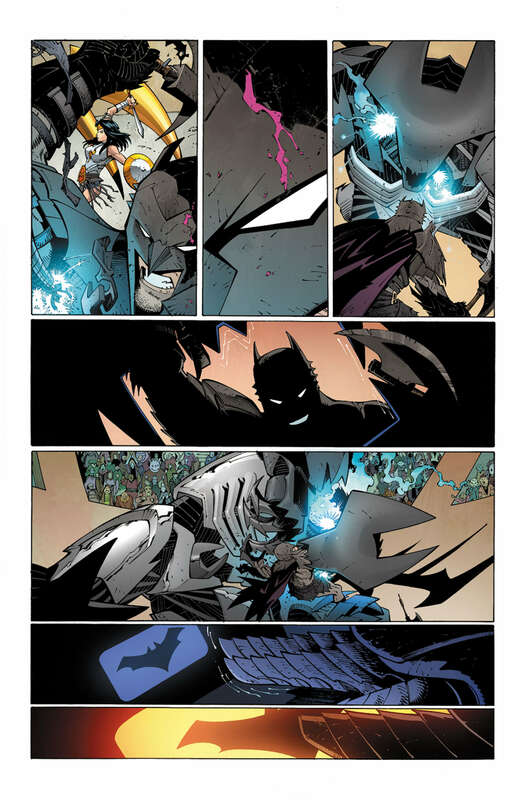 Aside from having the appeal that comes with uniting the fan favorite creative team of writer Scott Snyder and artist Greg Capullo going for it, there’s also the fact that they’re building upon everything they established on their definitive Batman run, in addition to taking advantage of the veritable treasure trove that is the DC Universe as a whole. 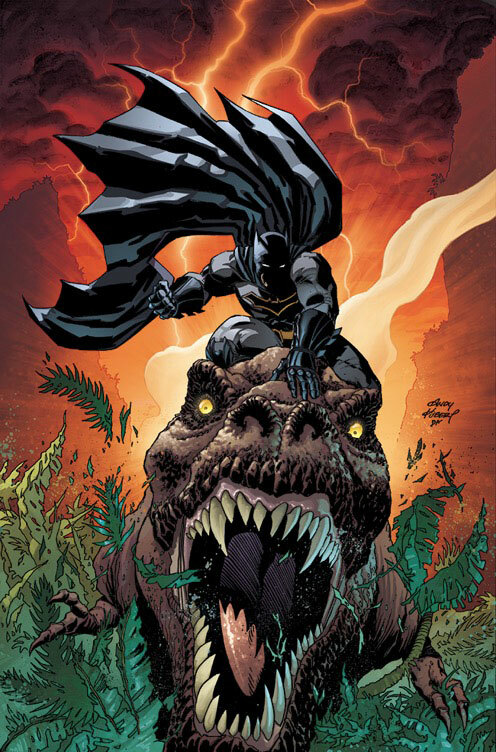 Come to think of it, Snyder already gave us that impression with the first of two Dark Days one-shots serving as prelude, so we can only wait with bated breath to see how far into the well he’s willing to go. 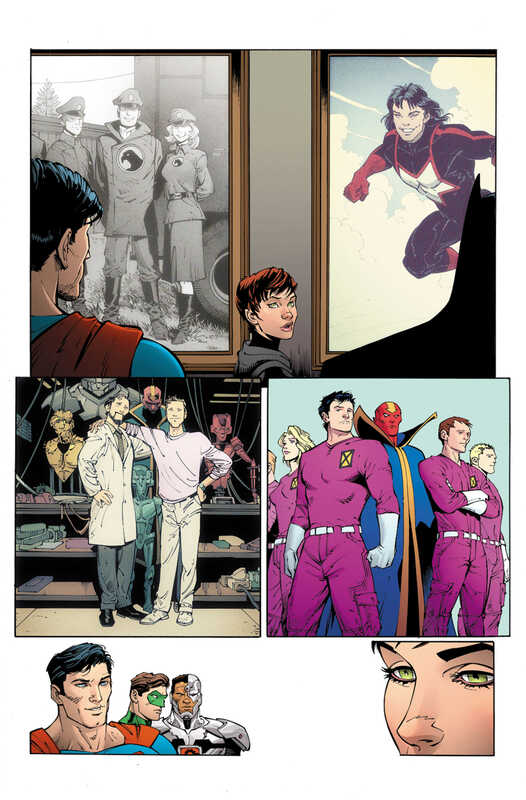 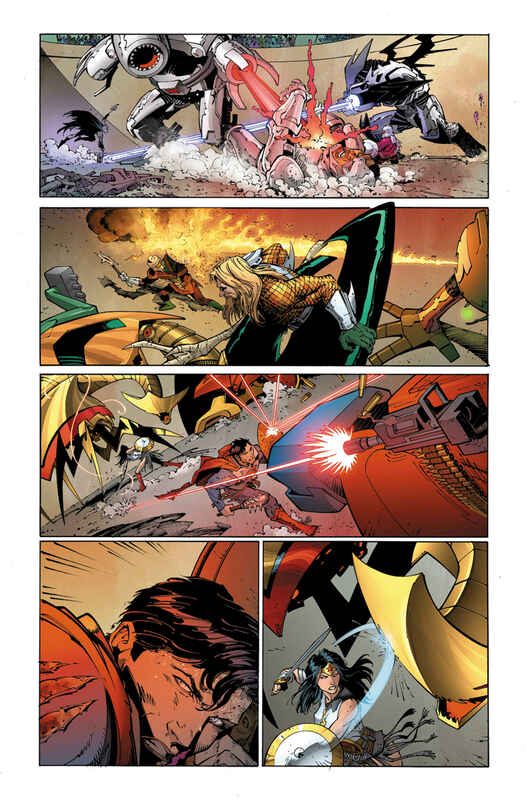 Actually, the preview gallery at the top shows that he won’t be wasting any time getting to the good stuff, as the Dark Knight and the rest of the Justice League find themselves putting up their dukes on what we can only assume to be Warworld or something similar to it. 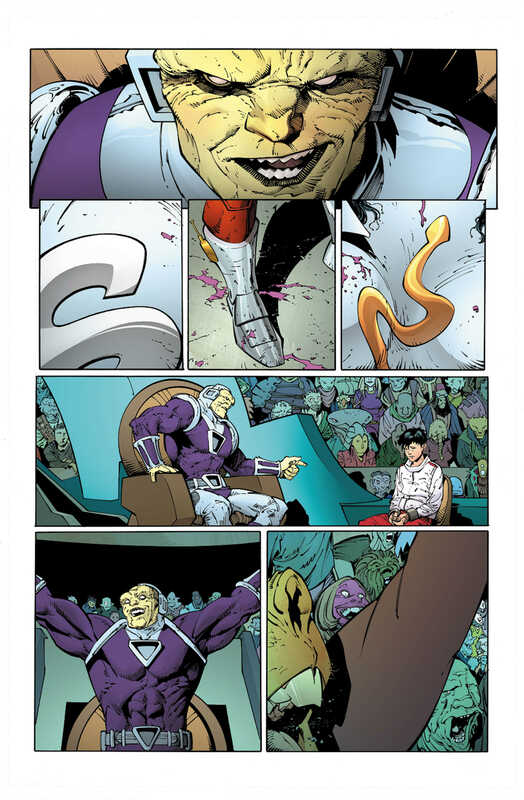 After all, Mongul does have a front row seat to the main event. 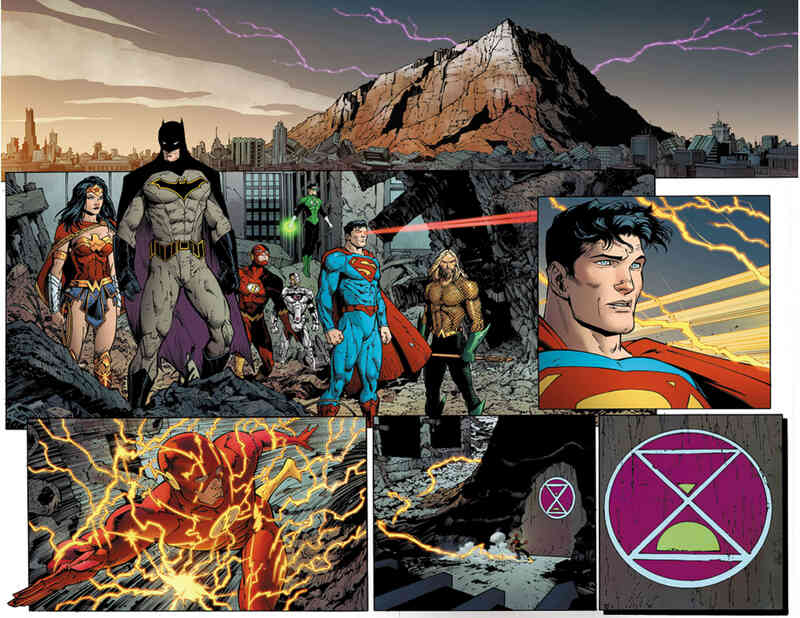 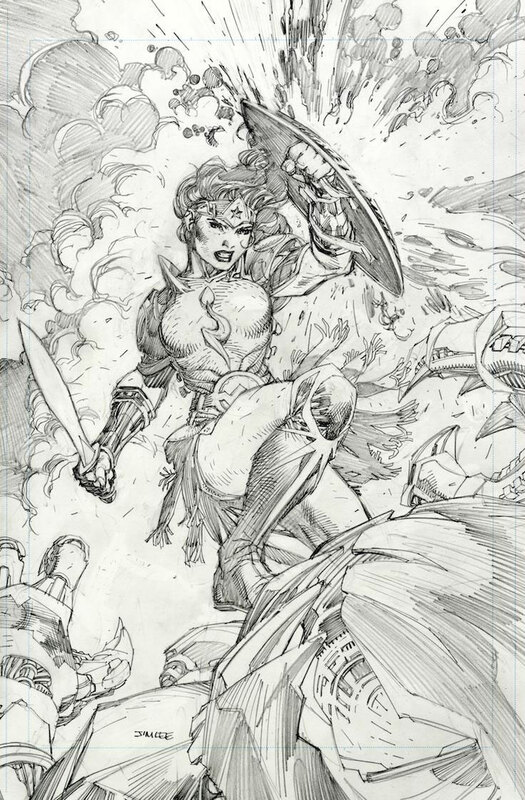 But since the preview is unlettered and therefore bereft of Snyder’s golden dialogue, there’s much room left for speculation. 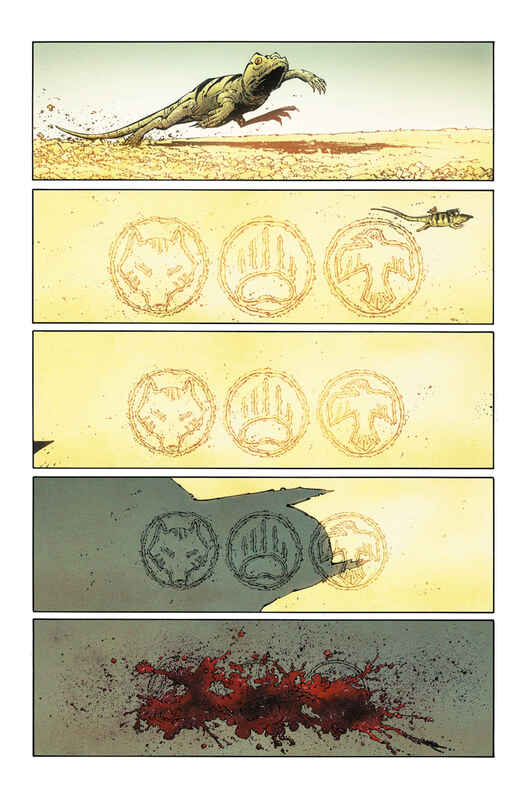 Two things, however, are blatantly obvious: That Capullo hasn’t lost a step as a visual storyteller, and that FCO Plascencia’s colors are on point. 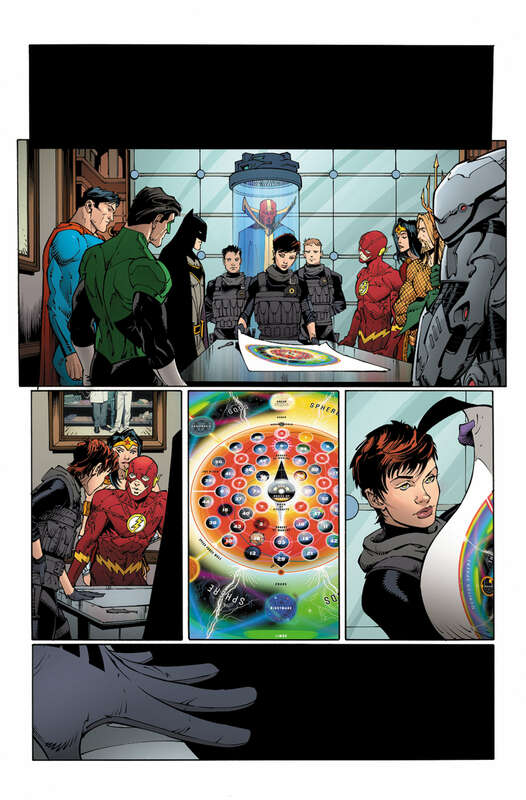 And since we’re being honest here, I must say that I dug seeing a map of the multiverse on full display, so I can’t wait to see what that entails. 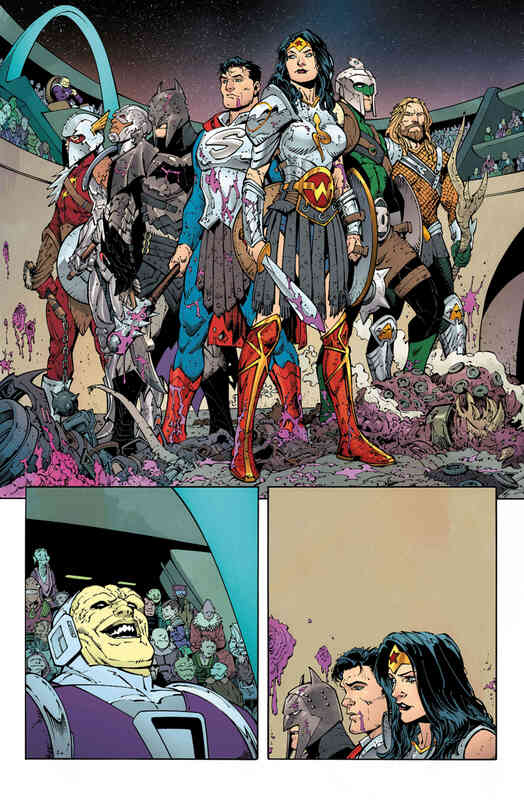 Dark Nights: Metal #1 arrives in comic shops on August 16.